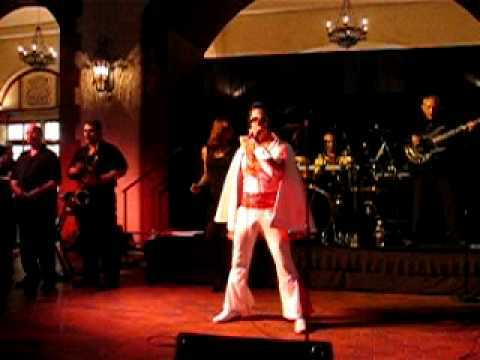 I am a Elvis tribute artist in New Orleans la. I entertain at parties, weddings (I'm a lic. Reverend ) also trade shows and all things Elvis. 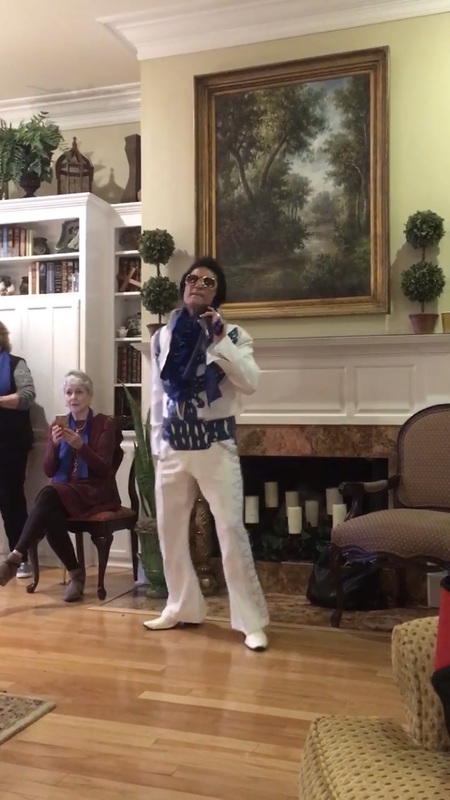 Randy Elvis Bonneval performed at our 50th High School Reunion and is a wonderful performer, with a great voice and stage presence, a true tribute to the King. He made sure he gave a scarf and attention to every lady, young (7 yr old) and not so young (70’s), and even made the men laugh. It was very obvious that he is a genuinely nice person and enjoys entertaining your guests. Elvis Presley would be proud! Thank you so much , it was such a pleasure to entertain you and all your guest , it was a blast . What a GREAT GREAT performance. Randy is such a personable guy he was so friendly and warn with everyone. He gave out the scarves to all the ladies and some guys which made the performance outstanding. Randy sang all of the songs no lip singing and his voice was so much like Elvis it shocked all of us. Besides being a GREAT performer he is a really nice guy are a rear combination. You know when you get a GREAT performance when the person giving the performance likes what he is doing and that is Randy. I can not say enough good things about him and his performance, it was just GREAT GREAT. I would highly highly recommend Randy to anyone if you want to spice up your party get Randy to come perform for you. Three days later I am still getting calls from my friends saying how GREAT the performance was. hired for my mom's 70th birthday and is most likely the best present I've ever gotten her. We had a great time- he super professional, friendly and communicative. I'd never hired an impersonator before- so didn't know what to expect and was super pleasantly surprised. 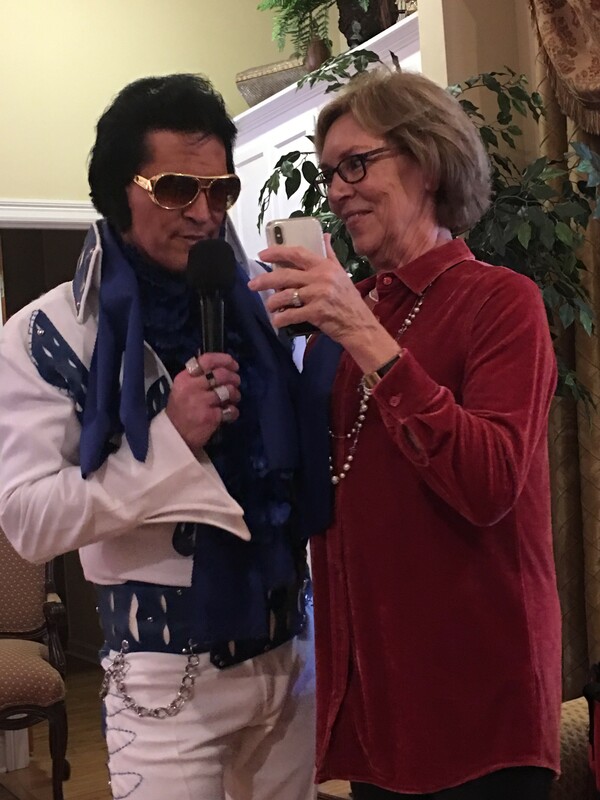 I don't know when I'd get the pleasure of hiring another elvis impersonator again but if I ever do, he will be my go-to person. Thank you again for a great performance, for really making my mom feel special and helping the whole family have one of the best birthday celebrations we've ever had. Thank you very much , it was a pleasure to perform for you and your family . Randy Elvis was great to work with! I was nervous about planning a surprise for my mom's birthday from out of state, but Randy made it easy and assured me all would go well. He was quick to respond to any questions I had and made appropriate accommodations as needed. 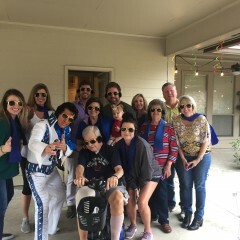 My mom was genuinely surprised when Elvis showed up and her friends had the best time too! Thank you very much and it was such a pleasure to entertain them all . Randy was fantastic! He crashed our wedding reception surprising even the groom. It was great fun. Randy was on time, did exactly what I needed. My guests loved him, and my husband, the birthday boy, was surprised and just thoroughly loved it as well. I highly recommend. Randy AKA Elvis was a great guy who put on a great performance! Even in the 100 degree weather he put on a great show and was a super nice guy! Several people at the party commented that they would get him again! 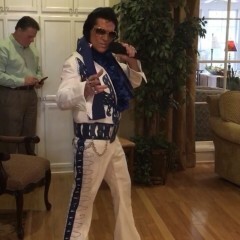 Randy Elvis Bonneval performed at my daughter's wedding reception. He has an amazing voice like Elvis and got the wedding party and the crowd to their feet dancing and singing. He engaged the guests by giving out scarves and posing for photo ops. We really appreciate him and his performance. I would defintely use him again. Amazing Performer and Great Fun! I first used Randy years ago for a large trade show event where we were one of the smaller exhibitors. His talent and energy made us the hit of the whole convention! I’ve worked with Randy since for more trade shows, company parties and even my wedding reception. 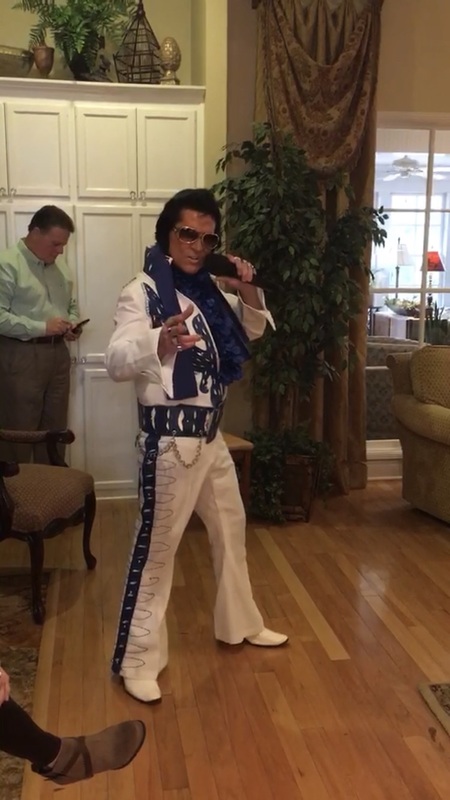 He’s an incredible Elvis tribute artist with a unique talent for ad lib comedy as well. Best of all, a hard-working and first-class guy. I can say without a doubt he will turn your event into an amazing experience for all! Wedding Guests Had A Blast! I've seen Randy Elvis perform many times and he never disappoints. The latest performance was at our wedding reception and he made it even more memorable! He can sing, knows how to work a crowd, and is just as wonderful a person as he is an performer. We have used Randy at several corporate events over the last several years for our conferences and general corporate events. He is an inbound lead generating machine. He is a great guy and really learns your business to ensure he is communicating in alignment with your corporate value proposition. Our vow renewal was perfect thanks to Randy! He is by far the best Elvis impersonator I've ever seen! Showed up promptly, spent time with guests, and even went over and above by sending a video "happy birthday" message to guests nephew! We will definitely use him again! Randy put on a great show for my wife’s surprise birthday party, he was easy to contact and responded immediately, he showed up on time and coordinated with me and the event staff to really surprise my wife with his entrance, I couldn’t be happier with the way things went. Thank you very much . It was a pleasure entertaining you and your guest . 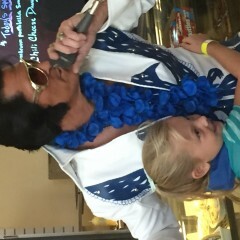 This Elvis was very reliable, punctual, and entertaining! What a great impersonator! 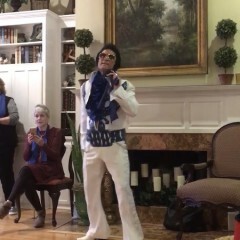 His music and costume were right on point as he interacted with the honoree and all of our guest. My husband had a very memorable 60th Birthday party. A fun night was had by all! Many thanks. 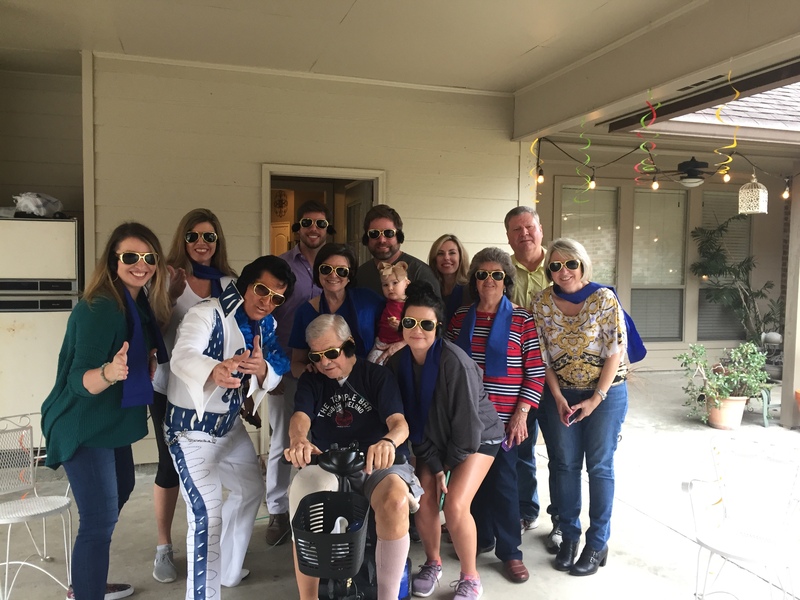 Elvis made an appearance at our company's customer appreciation crawfish boil and was loads of fun. He was very personable and greeted all our clients and took pictures and was the talk of our party. 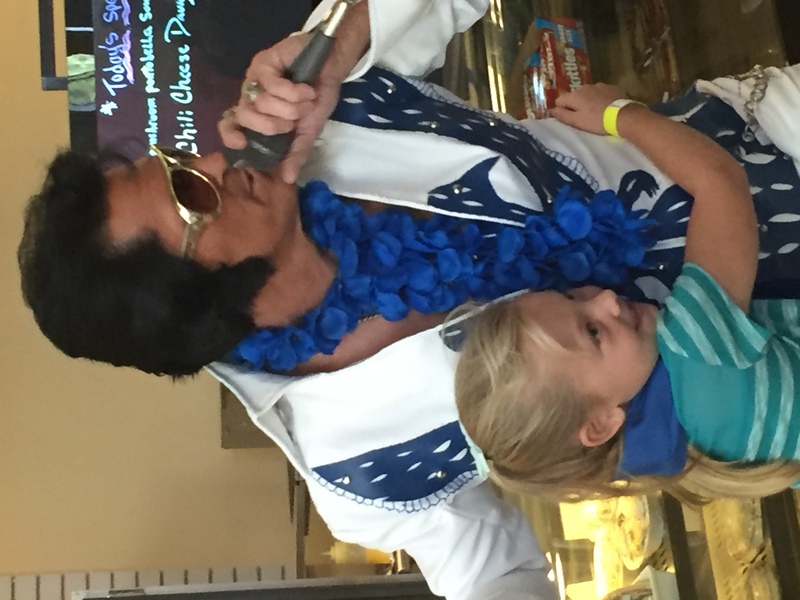 Elvis is highly recommended for your company event. 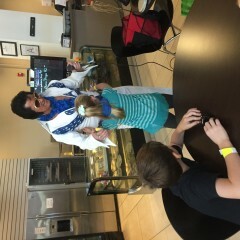 We will be in touch with ELVIS again in the future. Our members loved him. Thank you very much for the wonderful review and I’m looking forward to doing it again . 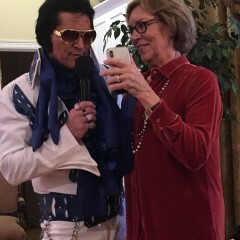 We had Elvis come and perform a song, and then hang out taking pictures with our wedding of about 150+ in New Orleans. He was professional, had a great time, and was what made our day special. Can't thank him enough and would highly recommend! i can only say positive things about Randy as Elvis. Randy made it possible to organize a smalll 30-'minute surprise birthday event in a short period of time. 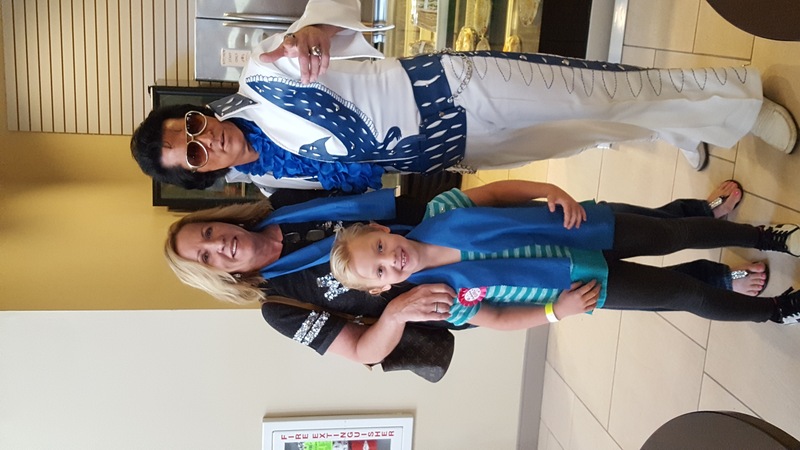 He is personable and friendly and of course, is Elvis. The two birthday boys were surprised and everyone enjoyed themselves. The performance was in a courtyard at a hotel and Randy was able to set up quickly and easily. I think he was just getting started so he would really be awesome at a larger event, for sure. Five stars. Thank you very much. Best wedding gift ever! He ENTERTAINED the crowd!!! Bride was ecstatic! 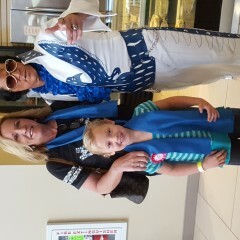 She absolutely loves Elvis and Randy did a magnificent job! Let's just say...I am hoarse today from all the screaming :) I am still being thanked for such an awesome gift!!! Definitely suggest to others for any get together's or parties! He was awesome!!!! And will be on my list to call again! Thanks for making one of the most memorable nights for my best friend one to go down in history!!! We booked Randy for our Senior Citizens group function on Wednesday January 20,2016. We had about 50 people attend and they all had a wonderful time. Randy did a great job and I would highly recommend him to my fellow ministry leaders at other churches. Thanks so much for the excellent way in which you handled our event. Elvis! Was in our building! We laughed and Mum cried as he sang for her 75th. Randy was amazingly talented, looked & smelled great. He was professional and he made my mothers birthday. He is a greatly talented entertainer. Everyone should hire him. Very friendly and accommodating; Extremely personable; gave s fantastic show and kept everyone laughing with his quick wit! Thank you very much for the wonderful review. I really had a great time Entertaining all of you . Please keep me in mind for future events . My name is Randy Bonneval . I am located in New Orleans La. 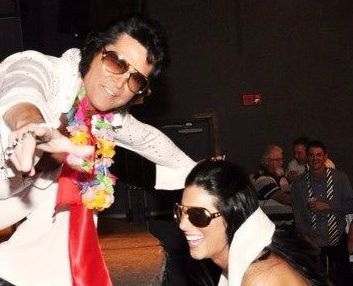 I have been entertaining as a Elvis tribute artist for over 10 years . I have traveled all over the United States performing . 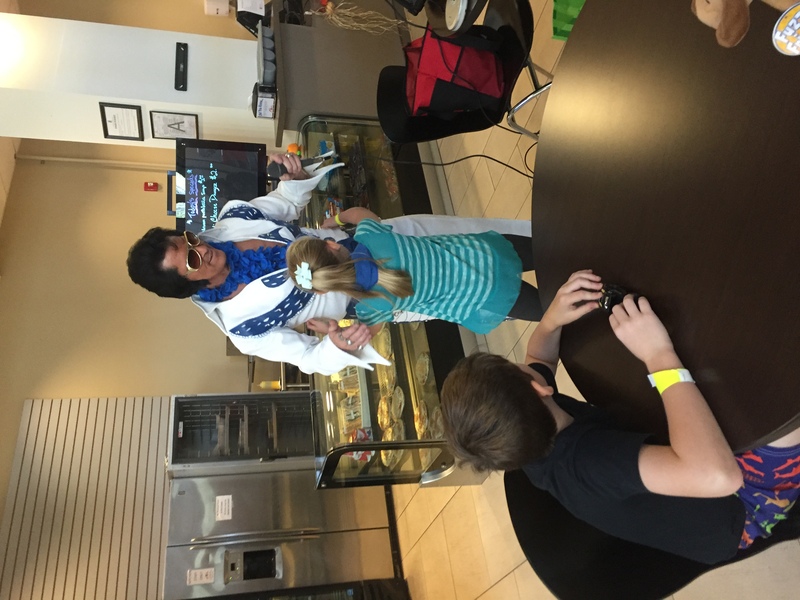 My speciality is performing at parties , trade shows and corporate events ,and all things Elvis. I am also a lic. Reverend . I can perform the marriage and then perform at the reception . I will travel anywhere my service is needed.